Still don't leave it to chance! Our recommended projects will ensure sustainability of the technology on a long-term basis; they cannot be objected to neither by politics, nor by environmental protection, nor regarding its economic efficiency. 2012.10.30. Our vision from the beginning is to take our share in creating a world, where people and nature can live and function together in harmony. We hold responsibility for our future and for providing a clean and livable environment for the future generations. Therefore, with our products and services we are continuously minimizing our partners negative effect on the environment, and are searching for new solutions in order to further decrease the negative effect. We have arrived to a new milestone on the road of realizing our goals, since starting with November 2012. RealGen Kft. continues to operate in a 100% Carbon neutral way. This means that as a result of a four step decreasing and offsetting process, our negative effect on environment is finally zero. The authenticity of our efforts is guaranteed by the iCC trademark. After the audit analysis we worked hard in order to reduce our energy consumption but we still had some polluting effect left. Therefore, as a final step to offset our CO2 emission we have invested in a renewable energy project, which reduces the GHG emission by the exact amount with which we used to pollute the environment, and in this way our net environment pollution has come to zero. In other words RealGen Kft. 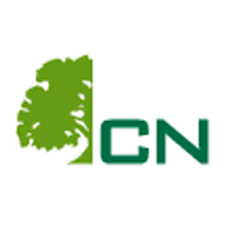 is a 100% carbon neutral company. 2010.08.18. A Here you can see up-to-date information about Alphakat's KDV technology represented by us. 2010.01.28. We are looking from distributors in the entire country to distribute the THERMOL™ performance enhancer product line. 2008.07.14. Last week the company successfully finished a project in Rwanda, Africa (near the Equator)! In the capital city, Kigali, a complete emergency energy system, required for the new building of a university, was delivered, installed and commissioned. 2008.07.01. After the successful conference in Goa, it was agreed on, led by László Rampasek, that the European warehouse base of Abhitech Ltd. shall be established. Furthermore, a decision was made about an even closer co-operation on a long-term basis. The strong partnership makes it possible to get new markets and carry out future projects concerning conservation of energy and improvement of combustion. 2008.02.28. RealGen Ltd. and ERRSA GmbH have started to enter the market together, with CHP equipment using biodiesel. CHP's are compact systems that utilize power-heat coupling (PHC). This refers to the simultaneous production of electricity and heat. The goal of PHC is the best possible use of available energy; the reduction of the use of energy carriers (mineral oil, natural gas, regenerative energy), and, by means of reductions in consumption, reduce the cost of energy production. Simultaneously, a considerable contribution to protecting the ecology is provided. Vegetable oil powered CHP offers you the possibility to become independent of fossil fuels by using regenerative energy. Due to the extremely stable prices of vegetable oils and local supply it represents a future-oriented technology. The transition to vegetable oil is already financially profitable. In areas, where vegetable oil is not available yet, but natural gas can be utilized, economical gas powered CHP equipment can be installed. ERRSA have invented a unique and highly efficient system, fed by natural gas, featuring a reconstructed diesel engine. Applying this system will result in guaranteed financial advantages. 2006.12.04. RealGen Ltd. became European distributor of Abhitech Energycon Ltd.! Abhitech Energycon Limited is a flagship company of a diversified group, having activities in petroleum, construction and financial services. Abhitech products are designed to solve problems related to combustion of various fuels and also to reduce associated cost. In the process, they improve performance of various fuels by ensuring complete combustion and reducing emissions. Besides Thermol, Thermol-P, Thermol-D, Thermol-Thunder, the Abhitech product range includes Thermact - specially produced for solid fuels. Our team designs, installs, maintains and provides project management services to ensure correct selection and implementation of appliances, equipment, systems, power supplies so that required tasks are carried out properly. The products sold by us can be found in critical applications and processes around the world, such as manufacturing, instruments, safety, process control and remote monitoring. Every product represented by us has full international approval and are backed up by a comprehensive technical support, maintenance and engineering service. RealGen is constantly searching for the best business partners, who are interested in sales of technical systems of high quality, for critical applications. RealGen Ltd. in Székesfehérvár is looking for an IT Engineer. Please send your professional CV to info@ush.hu. Dynamically developing company located in Székesfehérvár is seeking applicants for sales assistant, mechanical engineer and electrical engineer positions. If you are interested in the above positions, please send your professional CV with photo to info@ush.hu.